Executive Homes is a real estate agency located in Hua Hin a highly favoured sea side town by expats coming to Thailand for a holiday,work or retirement purposes. Executive Homes Hua Hin offers a great selection of residential properties for rent and sale also for anyone looking to run their own business while residing in Hua Hin we offer a great selection of commercial properties for sale or rent. We pride ourselves in offer a stress and hassle free service to our clients and aiming to find their new dream home or business as quickly as possible. ** REDUCED ** GREAT DEAL, SOUTH HUA HIN HOME FOR SALE. NICE STUDIO CONDO IN NORTH HUA HIN FOR SALE, VERY LOW PRICE!. TROPICAL BEACH VILLA FOR SALE IN PRANBURI THAILAND. LUXURY HUA HIN HOME FOR SALE AT ROYAL MOUNTAIN KAO TAO. GORGEOUS, MODERN ABSOLUTE BEACH FRONT HOME FOR SALE HUA HIN. FANTASTIC LOCATION! HUA HIN HOME FOR SALE NEAR BEACH. Palm Hills Golf Course 2 Bedroom Condo For Sale. The Lees Hua Hin Homes For Sale. IMPRESSIVE SEA VIEW CONDO FOR SALE NEAR HUA HIN CENTER. KAO TAO HOME FOR SALE, IMPRESSIVE SIZE, PEACEFUL LOCATION. BEAUTIFULLY REMODELLED UNIT IN DOLPHIN BAY FOR SALE. 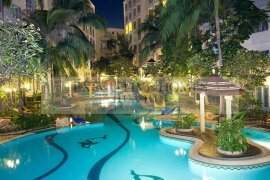 Blue Lagoon Sheraton Condos in Hua Hin for sale. 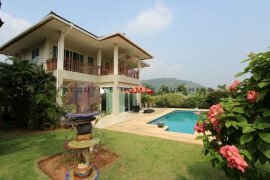 HUA HIN HOME FOR SALE WITH BEAUTIFUL MOUNTAIN VIEWS PRANBURI. New, Ultra Modern Smart House For Sale In Hua Hin. High Quality Home For Sale In Hua Hin Near Town. BEACHFRONT STUDIO CONDO FOR SALE HUA HIN, KAO TAKIEB. Brand New Sai Noi Beach House For Sale In Hua Hin Thailand. GORGEOUS GARDENS, HUA HIN HOME FOR SALE IN TROPICAL PARADISE. 5 BEDROOM CONDO UNITS IN DOLPHIN BAY FOR SALE. GORGEOUS VIEWS! PRESTIGIOUS BLACK MOUNTAIN GOLF COURSE CONDO FOR SALE HUA HIN.